“Irene has dedicated more than 20 years of service as Chair of WAMAAC and nine years serving on the Museum’s Board of Trustees,” Mr Robson said. Ms Stainton said the WA Museum is a strong advocate for recognising the rights of Aboriginal and Torres Strait Islander peoples as the First Peoples of Australia. “The WA Museum is committed to ensuring there is meaningful engagement with, and inclusion of, Aboriginal and Torres Strait Islander peoples in everything that it does,” Ms Stainton said. Ms Stainton said it had been a privilege to advocate for Aboriginal people in the areas of health, employment, the protection of cultural heritage, and in culture and the arts, for more than 40 years. 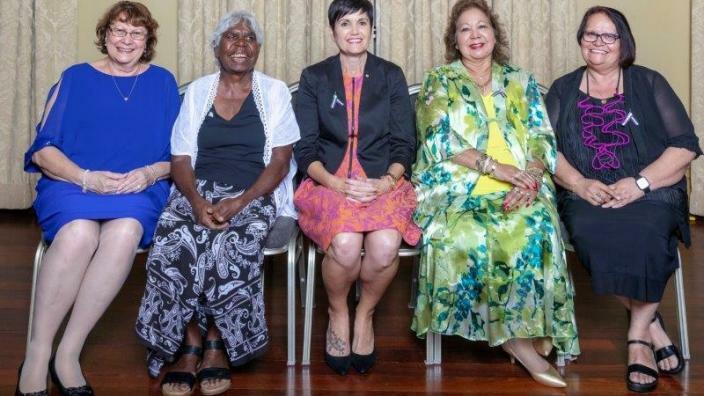 “As a proud Nyoongar woman, I am deeply honoured to be inducted into the WA Women’s Hall of Fame and I hope to contribute to lives of Western Australians and this great State for many years to come,” she said. The WA Women’s Hall of Fame was first established in 2011 in recognition of the Centenary of International Women’s Day held annually on 8th March.